Firebreaks are useful to reduce the extent of forest fires, however, when they are cleared down the slope, soil erosion is increased and the native tall sward in summer can increase fire risk. The sown mixture Trifolium brachycalycinum (Katznl. & Morley) and Cynodon dactylon L. Pers. has already proved to be useful for both fire prevention (the short sward remains green in summer, creating easy access) and biomass production (clover can give high yields with high palatability and protein levels). This pasture needs to be grazed to be kept short and reduce fuel biomass in summer. Unfortunately, there is not much livestock reared in Central Italy and animals are normally fed indoors. 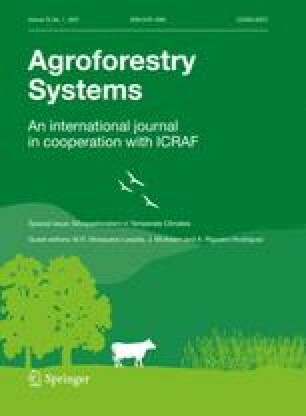 In this article, a trial in a coastal farm of Central Italy is reported to investigate the efficiency of horses in maintaining the sown species botanical composition, soil cover, sward height, biomass (before and after grazing) and fuel biomass in summer in a firebreak over 4 years. The mixture was intensively grazed over short periods during spring and summer. Animals grazed both the sown species and native plants, they trampled on the remaining herbage, breaking the stems, and leaving short and compact dry mulch. Very little combustible vegetation was left in the hot season and horse grazing is recommended for farms that have firebreaks.